We had the honor of being the speakers for this past weekend’s Brunch for the Soul event, hosted by Cynthea Corfah. 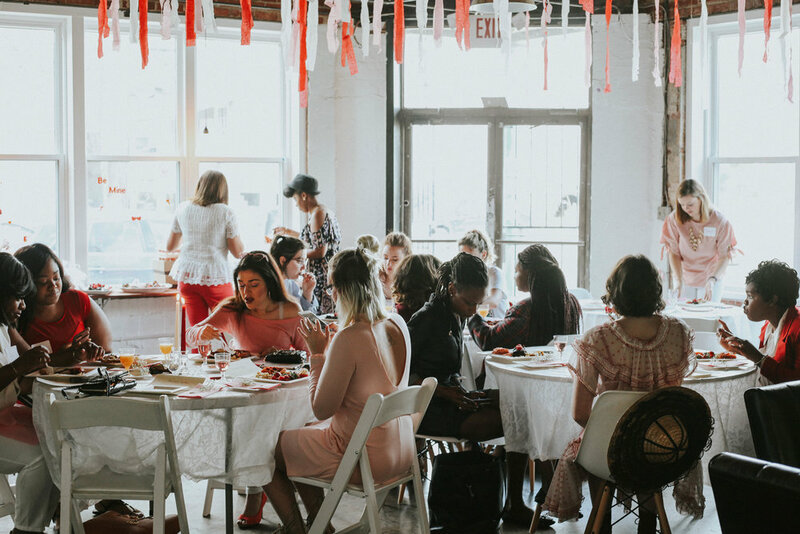 Cynthea put together a beautiful, Galentine’s-themed event, fit with all things pink, red, and white. The food display was dainty and delicious, and the bottomless mimosas were a hit, as usual! We spoke on behalf of PPG on the power of connectivity. We focused on how essential our cooperation with one another is, and how mutually beneficial it is to make connections with others who are strong where you are weak! We used the illustration of lightning bugs and how they’ve mastered the concept of synchronicity to increase their rate of success as a species. We highlighted ways that we can learn from the lightning bug theory in order to increase productivity, happiness, and lifespan (yupp, that’s right!). After our talk, we answered some questions and participated in a Brunch for the Soul Classic: speed-dating! 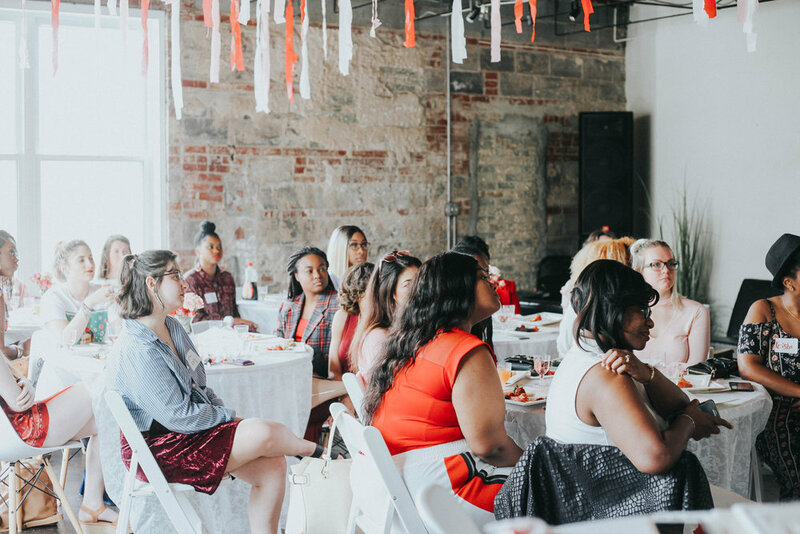 We were able to connect with each individual in attendance, which made the experience all the more special. We’d like to thank Cynthea for inviting us and the beautiful women in attendance for receiving our message. We hope to connect further and continue to shine brighter together!